For Photo2Canvas, indicate if you want it bleed or non-bleed. Tell us if you want to turn your photo into black and white, sepia or as is. For large files, you may use a free web application called WWW.YOUSENDIT.COM or WWW.WETRANSFER.COM to email us your file. We will email you the preview of your artwork for your approval. 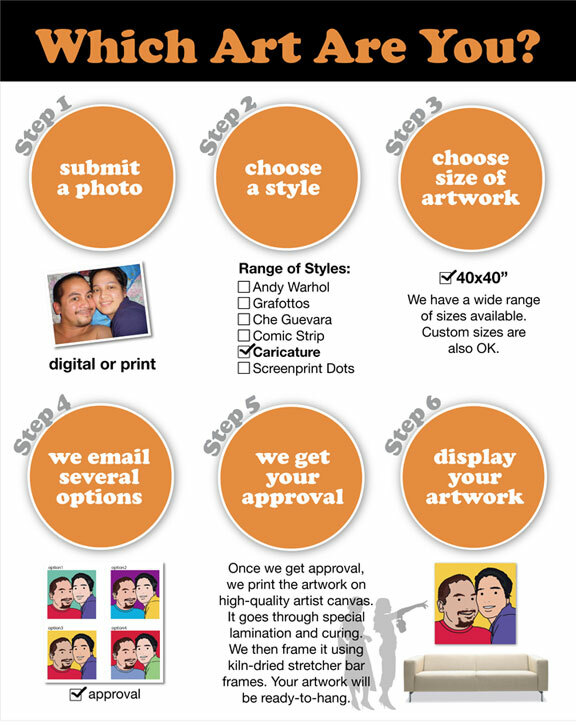 Once approved, we will print your artwork and inform you when it is ready for pick-up or delivery. For artworks for shipping, we will give you a tracking number. Account Name : Gallery 7 Digital Studio, Inc.
Once we get your order information, we will send billing and payment instruction to your email address. 1. We ship artworks to anywhere in the world. Shipping address need to be provided by client to calculate the shipping fee. Please read the Artwork Ordering Agreement for more info.